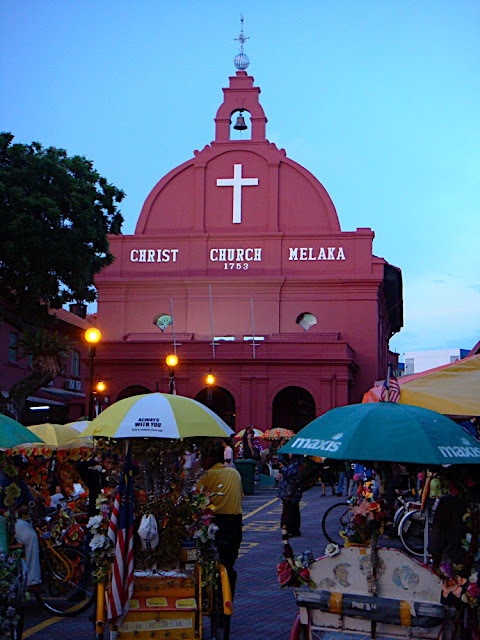 My earliest memory of Melaka, or Malacca as it was spelt in English, was from my history lessons during my school days. According to a legend, Parameswara, a prince from Palembang, was resting under a tree while hunting when he saw a deer push a dog into a river in self-defence. He was so impressed by the courage of the deer and took it as a good sign to create an empire in that area. He decided to name the place "Melaka" after the tree that he was sheltering under. After many (failed) plans of going up to Melaka, we finally put our foot down and decided to drive up there in June 2009. With two cars and together with some of my colleagues, we drove up to Melaka from Singapore for a weekend trip. The plans were, or rather the only plan, was to eat, eat and eat! However, as it would be my first in the city state, I decided that I wanted to do a little sightseeing as well. 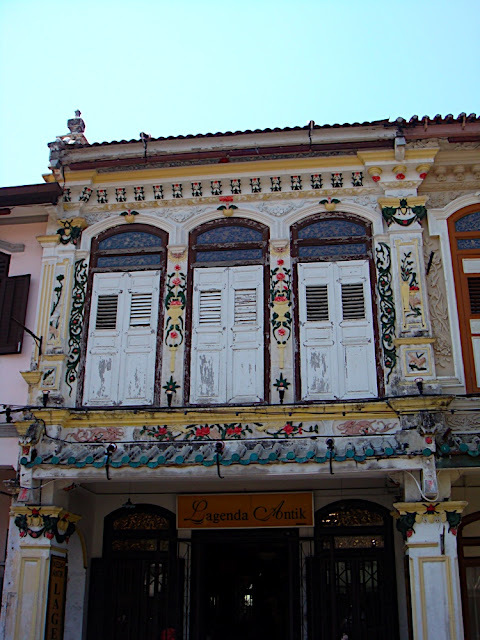 Melaka was listed as a UNESCO World Heritage Site together with my hometown, Penang, in July 2008. Our first stop once we reached Melaka was to find a place to park near Jonker Walk and to start eating! We started in a small shop that served laksa, a coconut curry noodle soup (below), chendol (further below) and some other food. Chendol is probably my favourite local dessert. 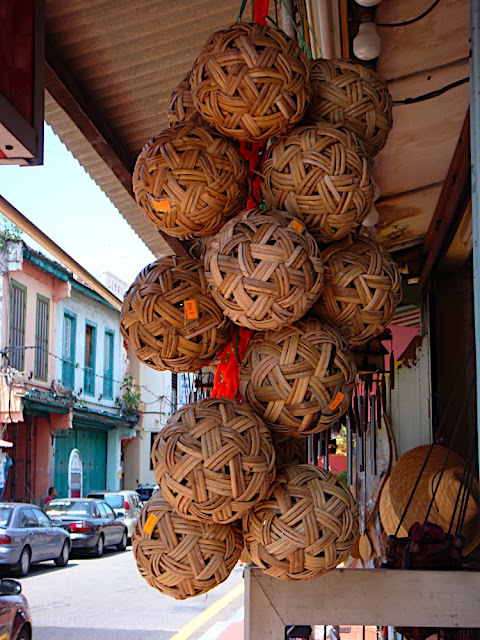 The ones in Melaka has very thick fragrant gula melaka (local palm sugar). 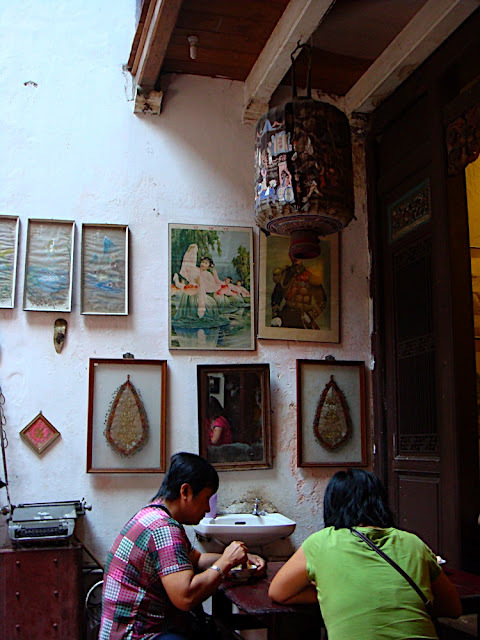 The shop was in one of the old shophouses on the street and it has some interesting decorations. 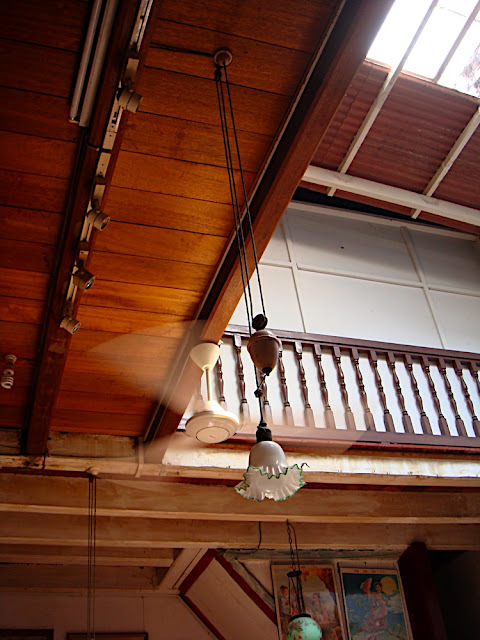 Jonker Walk reminded me of the streets in Georgetown, Penang with all the old shophouses and quaint little shops. Maybe, that was why they are a combined UNESCO's World Heritage Site. Here are some photos taken along the road. The name is often mispronounced as /ei/ Famosa, even among Malaysians (as though the Portuguese definite article "a" were the letter "A" in the English alphabet). A more accurate pronunciation would be /ɑ/ Famosa (approximating 'ah'). Well, I am one of those Malaysians! Anyway, after studying so much about the history of the city and the famous A(h) Famosa, I was a bit disappointed when I first saw the "structure". It was definitely smaller than the image I had in my head! 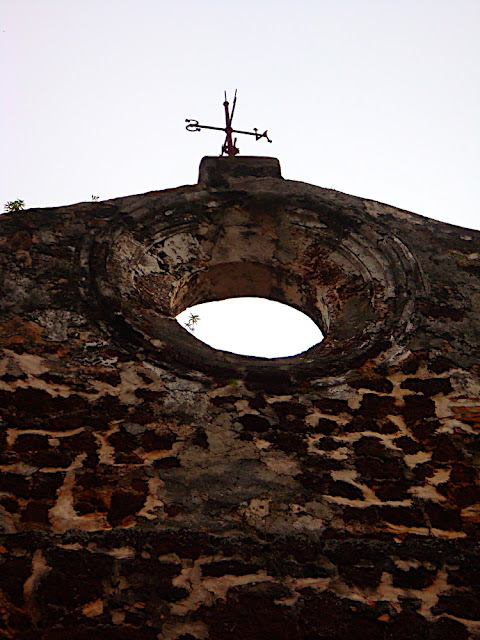 Porta de Santiago is a small gate house, and it was the only remaining part of the fortress that was still standing. Above the hill is a bigger structure overlooking the sea. 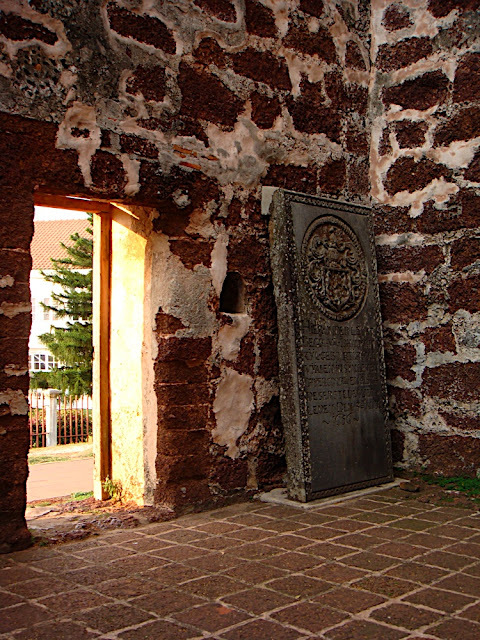 The building was built by the Portuguese in 1521 as a chapel called "Our Lady of the Hill". St. Francis Xavier, a Catholic missionary, was laid to rest in an open grave - which was now covered in wire mesh - for eight and a half months before being sent to Goa, India. Apparently, the body is still on display there at the Basilica of Bom Jesus, and is still well-preserved! 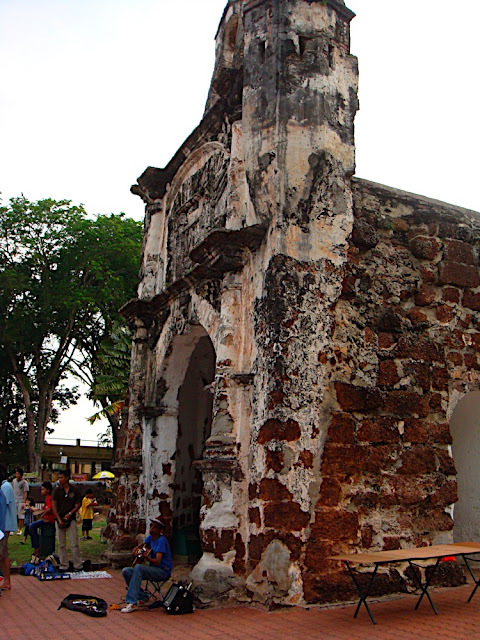 After the Dutch took over Melaka in 1641, they renamed the chapel to St. Paul's Church. It was used as a church before Christ Church was completed, and was then turned into a burial ground with tombstones scattered around. The Stadthuys, also called the Dutch Square or the Red Square, was full of red-coloured buildings. There were the famous Christ Church and clock tower. 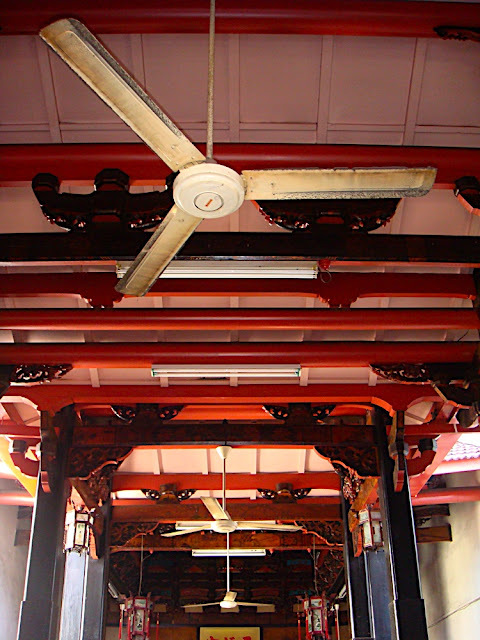 Many shophouses nearby were also painted red. There were lines of trishaws which were too heavily decorated for my taste. The prices of the rides are specified, so you do not have to worry about being over charged. 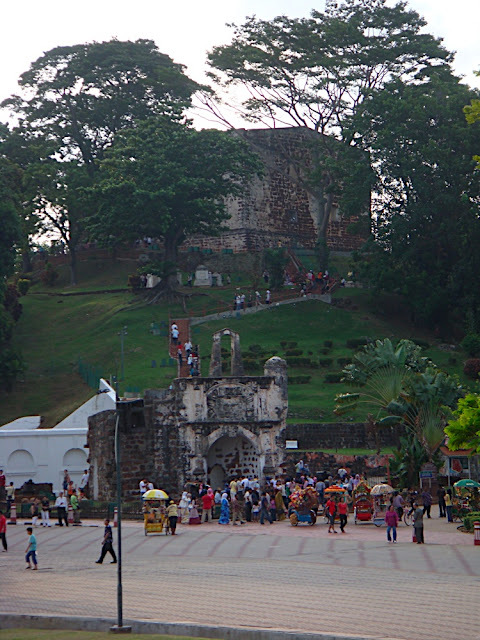 At night, some of us went to Menara Taming Sari - a revolving tower that went up around 100 metres, providing a 360-degree view of the town. The ticket price was cheaper for Malaysians! The view was nice, but as it was night time and there weren't that many buildings with lights, there wasn't that much to see. After that we went to join our friends who where queuing for satay celup. It was like a steamboat or "lok lok", but with savoury spicy peanut sauce. So, you basically dip sticks of raw food into a boiling pot of sauce to cook. It was pretty good. I don't think that I have seen/had it elsewhere, actually. 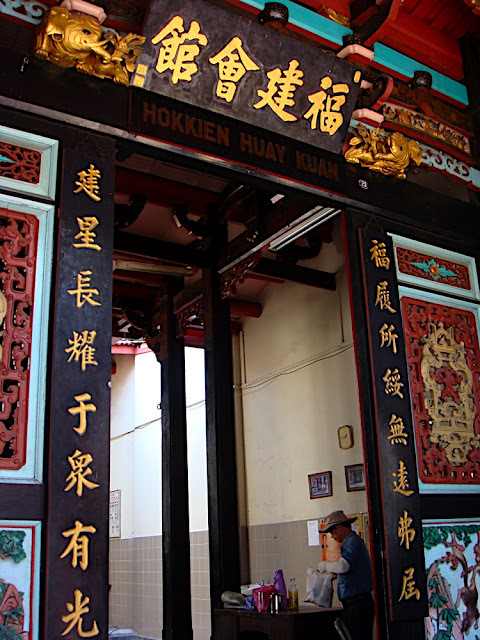 At night, Jonker Walk was closed to cars, and many street vendors would line up the street selling food, clothes, accessories, and almost everything else. We walked, we bought and we had more chendol! Well, you always need dessert after dinner! After a full day filled with lots of food in Melaka, we went back to our hotel to rest. We ended up watching a Michael Jackson's concert that was being shown on TV. He has just passed away then, and I was still in shock with the news. For as long as I could remember, I have always wanted to watch him live in concert. That wish, unfortunately, would never be fulfilled. But, I digress. 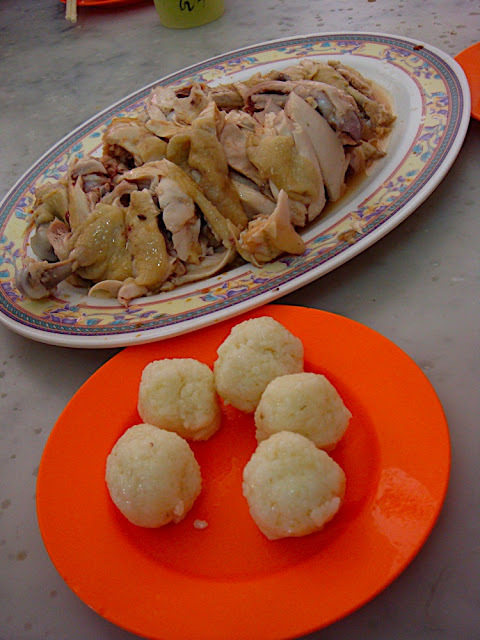 The next morning, we had another famous Melaka food, the Hainanese chicken rice, for breakfast. I don't think that I have ever had chicken rice for breakfast, but according to my friend from Melaka, Malaccans do! It is special and famous mainly due to the ball-shaped rice. The chicken was good, but the rice balls were a little cold for my taste. We walked along Jonker Walk again to exercise a little bit, before digging into more chendol! I know, it was a lot of chendol for such a short trip, but I love it. Maybe even more than the ones in Penang due to the gula melaka, but shhh... don't let any Penangites hear me! How I wish for a bowl right now. We stumbled upon this husband and wife team that was selling maltose "lollipops" and this very hard sweet that needed to be hit with hammer-like tool. I have always loved the maltose sweets but most are now processed in factories (with lots of other flavours) rather than handmade like the ones they were selling. Unfortunately, there are very few of these handmade ones being sold these days. After a short walk and more food (had satay but was too full to fully appreciate it), we started our drive back to Johor and then Singapore. It was a great weekend break with lots of good food. I would definitely plan another drive up to Melaka another of these weekends when I am in need of great local food (which unfortunately are not easy to find in Singapore).